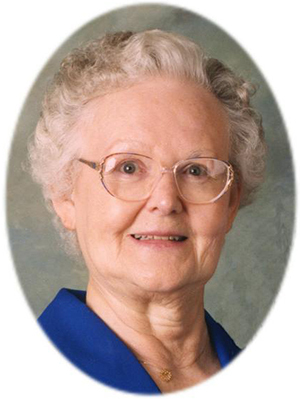 Obituary – Berry, Dorothy Jean (Edwards) « Perry High School Alumni Association, Inc.
Dorothy Jean Edwards Berry was born on September 25, 1924 in Perry, Oklahoma to Roy Edwin and Cynthia Almeda Woodrum Edwards. She went to her heavenly home on December 23, 2010 at Green Valley Nursing Home. She graduated from Perry High School in 1942. While in high school she was a member of the Red Hots Pep Club. Following graduation she lived and worked in Oklahoma City for a brief time before returning to Perry. She was employed at Foster Corner Drug, when she met her future husband. She and John Berry were united in marriage on September 2, 1945 and resided on his family farm. Dorothy worked as a bookkeeper at the A.C. Houston Lumber Company and Sorrell Lumber Company from 1965 to 1970. She was a member of the First Christian Church having been baptized at the age of 15 in the original First Christian Church building at the corner of 8th and Fir Street in Perry. She was a former Sunday school teacher at the Christian Church. She enjoyed watching Wheel of Fortune. She was a devoted daughter, sister, wife, mother and grandmother. She was a very caring and sweet lady who loved her Lord and family very much. She will be deeply missed by those who loved her and will never be forgotten. Funeral services will be at 2:00 p.m. Tuesday, December 28, 2010 at First Christian Church in Perry, Oklahoma. Rev. Martin Foster will officiate. Interment will be in Grace Hill Cemetery. Services are under the direction of BrownDugger Funeral Home. The family will receive friends on Monday, December 27, 2010 from 6:00 p.m. to 8:00 p.m. at BrownDugger Funeral Home. Memorials may be made to the First Christian Church or the Oklahoma Medical Research Foundation in care of BrownDugger Funeral Home, 1010 N. 7th Street, Perry, Oklahoma 73077. Dorothy is survived by her daughter, Lana Moore and her husband, Gary of Perry, Oklahoma one granddaughter, Pam Frazier and her husband, Matt of Perry, Oklahoma one grandson, Kevin Moore and his wife, Becky of Stillwater, Oklahoma two greatgrandchildren, Trevin Lamirand of Perry, Oklahoma and Rylee Moore of Stillwater, Oklahoma two brothers, Donald Edwards and his wife, Dorris, and David Edwards and his wife, Janice, all of Perry, Oklahoma and many nieces and nephews. She was preceded in death by her husband her parents her brothers, Steve Edwards, Robert Edwards, and Thomas Edwards and her sisterinlaws, Ada Edwards and Irene Edwards.